Quilts. Books. What I Love. My sewing machine is waiting for repair. My sewing room is in turmoil after our move. I am the worst blogger ever, LOL. 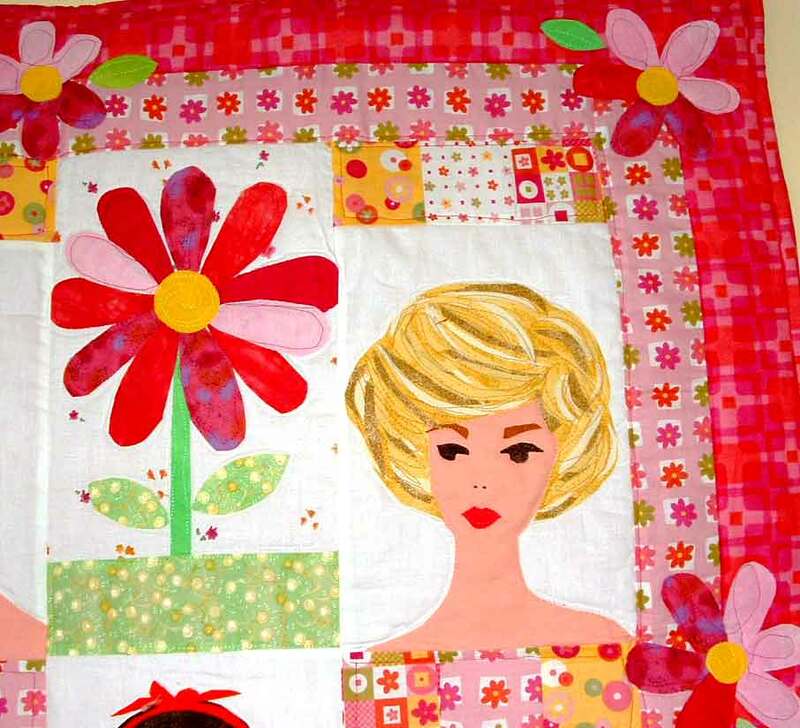 But here is a trunk show of quilts from the closet: My Barbie Quilts. Growing up in the 1950s, I of course had a love affair with Barbie. Or rather, Barbie CLOTHES. Dressing Barbie in those great outfits was most of the fun. The rest was the adventures we made up. My first ponytail Barbie had those slanted eyes, and I thought they made her look villainous. She was NOT a heroine in our play. But the Bubble Cut Barbie was okay. My Midge became 'The Boy From Mars', wearing the Gone Fishin' jeans and plaid shirt. Ken was a Dobbie Gillis clone, and Alan had plastic hair--ugh. My last doll was Skipper, so cute. Then I felt I was too old for dolls and they went into the attic. So I never got Twist n Turn Barbie or American Girl.. 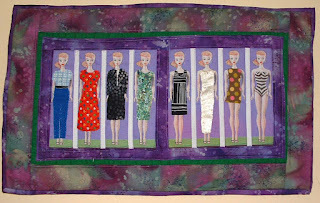 Horror of horrors, one day I came home from high school to learn that Mom had GIVEN AWAY all my dolls to the girls down the street!!!!! I was heart sick. No way could I ask for them back. After all, the family was large and the girls were sweet. Years past and I was into my 40s when I made the decision I could play with dolls again. 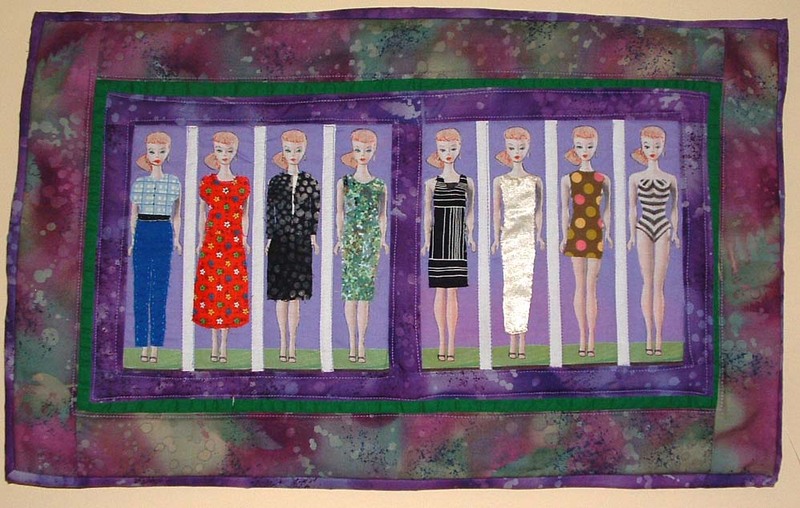 I made the first shown quilt by scanning Barbie, printing her on fabric, and dressing her. 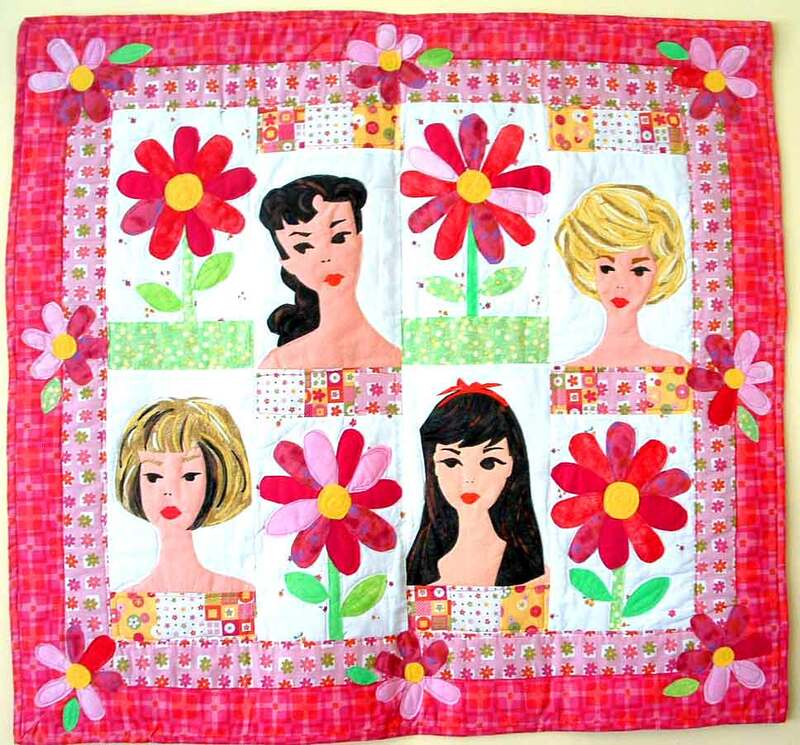 It is a small wall hanging. 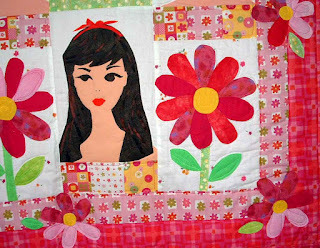 I later made another larger dressing Barbie quilt for a quilt guild ugly fabric challenge. 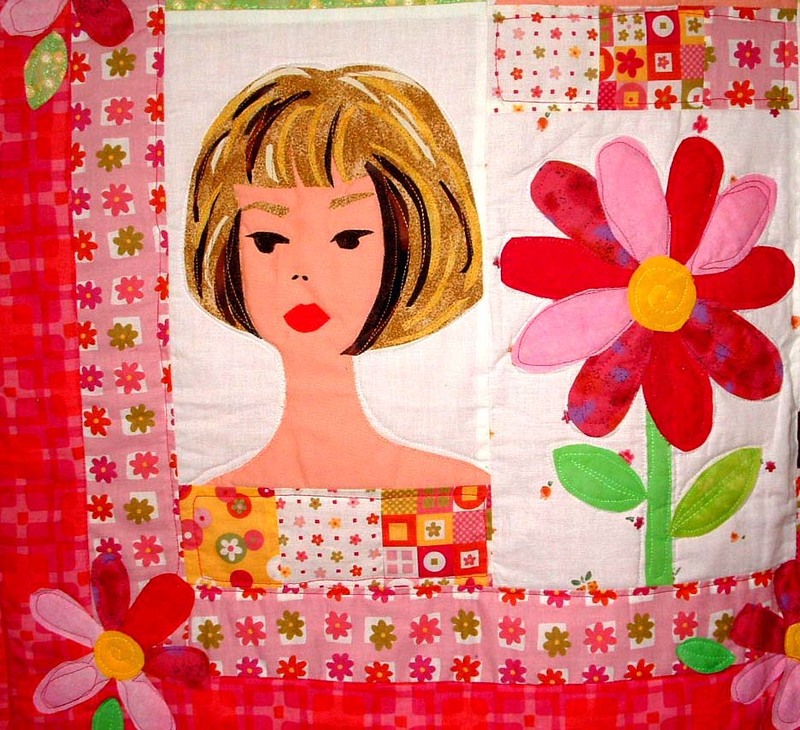 Once again I scanned Barbie and printed her on fabric. I fused he onto ugly fabric backgrounds. I used a collectors guild book to make clothes styled on her original fashions, but using more ugly fabrics. 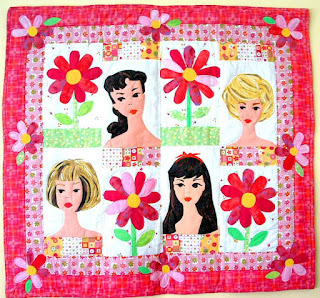 I kept to the ugly fabric scheme in the loud daisy border. Then I appliqued real Barbie clothes and accessories. 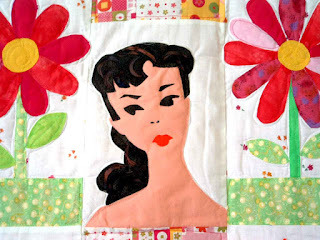 My Barbie Quilt won second place in the Capital City Quilt Guild Ugly Fabric Challenge. It went on to be juried into a major quilt show! It is great to play with dolls, at any age.